Of all the motor vehicle accidents we see at the Olson Law Firm, truck accidents are usually the worst. Large commercial trucks—called “big rigs,” tractor-trailers, or 18 wheelers—can cause untold damage when they collide with smaller and lighter passenger vehicles. Commercial trucks often weigh 40,000 tons—or more if they are carrying cargo. When they collide with a passenger vehicle, horrific injuries usually result. If you have suffered injuries in a truck accident, you should reach out to an experienced attorney in Denver. What is the Average Truck Accident Settlement in Denver? Because every truck accident case is different, it is hard to calculate an “average” that might apply to your case. However, we can analyze the different factors that go into determining our client’s settlement amount. Generally, you can receive 100% of these economic losses. Because commercial trucks are so large, they can cause devastating injuries, such as paralysis or traumatic brain injuries. These injuries often leave victims permanently disabled and with disfiguring scars. If your injuries are particularly severe, you could receive a considerable amount of compensation for these intangible harms. It is not always easy to analyze these factors on your own. This is where an experienced Denver truck accident attorney comes in. At the Olson Law Firm, we can perform a 360-degree analysis of the accident and come up with an amount that we believe fairly compensates you for your injuries. Who is at Fault for Your Truck Accident? Although truck drivers do not usually have the money to pay out a settlement, larger companies do, and most have insurance that covers those settlements. As a result, it is often ideal to add large companies as defendants, if possible, which can increase the likelihood that you will receive full compensation for your injuries. Determining fault is sometimes easy. In other situations, your attorney will need to review all available evidence, such as the police report or statements made by all involved, and any physical evidence, such as damage to your vehicle. Did You Contribute to the Accident? Colorado recognizes that sometimes injured victims contribute to their accidents. For this reason, your contributory negligence does not automatically bar you from receiving a settlement after a truck accident. Instead, Colorado law allows you to receive compensation so long as your negligence is not greater than the defendant’s. This means you can be 50% responsible for the crash, but you cannot be 51% responsible. If you are, then you should probably not expect to receive a settlement. Any fault on your part will reduce the amount of compensation you can receive. If you are 20% responsible for your injuries, then you can expect to receive 20% less in a settlement than you would if you were completely blameless. For example, if your injuries are valued at around $100,000, then you would only receive $80,000 if you were 20% to blame. What if a Loved One Died? Many truck accidents unfortunately result in death. In Colorado, surviving family members can often bring a wrongful death lawsuit. This lawsuit is meant to compensate the survivors for their economic and non-economic losses, such as the income they expected their loved one to earn or the loss of companionship. Because some survivors can bring a lawsuit, they can also negotiate a settlement with the party responsible for your loved one’s death. Wrongful death lawsuits are complicated, so you should meet with an attorney who handles these types of lawsuits right away. How Long Do I Need to Wait for My Truck Accident Settlement? Have you reached maximum medical improvement? This is the point at which additional medical care will not improve your condition. Usually, we wait to negotiate a settlement until you have reached maximum medical improvement because at that point your medical expenses are known. We should also know at that point whether you can return to work or whether you need compensation to replace your lost future wages. Is the defendant playing hardball? Their insurer might make a lowball initial offer, which we need to reject. When there is a lot of money at stake, you can expect a defendant to negotiate more aggressively, which lengthens the settlement process. Is fault in dispute? If so, it can take months to fully investigate the accident to determine who is responsible for the crash and whether your own negligence contributed to the accident. Some cases settle within a couple of months, whereas others take much longer to reach a resolution. Sometimes, if you can wait, then you can increase the amount of compensation you can receive from a defendant. In some situations, a defendant might refuse to settle for any reasonable amount, in which case you might need to file a lawsuit. After a truck accident, many of our clients are worried about their futures. They need compensation and they need it as quickly as possible. We understand the many stresses that truck accident victims face, and we are committed to lifting this heavy burden from your shoulders. At the Olson Law Firm, we have negotiated with some of the state’s largest insurers and trucking companies. We can compile a compelling case in support of a full and fair settlement. All you need to do is reach out to us today. 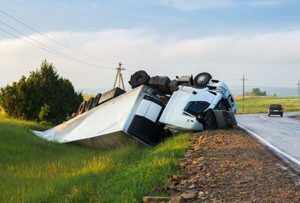 To schedule your free consultation with a Denver truck accident lawyer, please call 720-307-6389 or contact us online. Colorado law gives you a short amount of time to protect your rights, so do not delay.